There have been a lot of brave and strange experiments in science fiction writing and publishing over the years—but one of the strangest is going on right now. 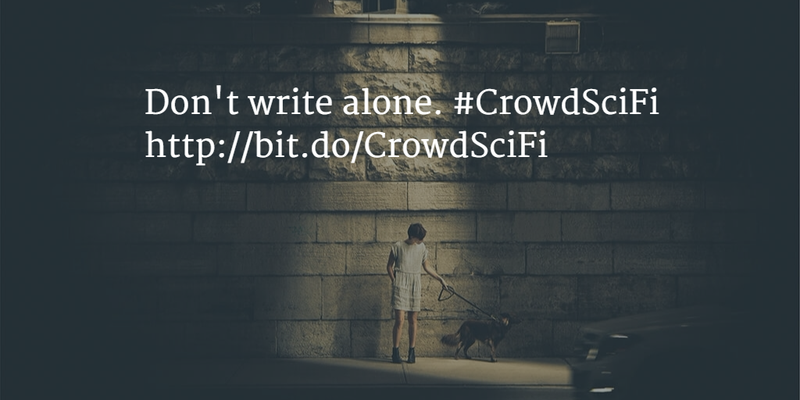 CNet’s Eric Mack is “crowdsourcing” a science fiction novel—and you can be part of it. Basically, the novel, called Human Capital, is being written in a Google Doc that anyone can edit. Mack wants to write 50,000 words in November, for NaNoWriMo, and he’s inviting any and all comers to be part of shaping this. Thus far, it’s a posthuman story, set in the future, with a lot of potential. And you can read an outline for a huge chunk of the part that’s not written yet.